If you are in the business of creating B2B marketing content, sooner or later, you need to ask yourself the question: What next? Sure, you have a long-term content plan, but even the best laid plans of mice and marketers often go astray. After all, your content should address current market challenges, and be tailored to address the state of your sales pipeline, and without powers of clairvoyance, it’s hard to predict either with 100% accuracy at the beginning of the year. A disproportionately high number of your marketing leads are disqualified by sales. If this has happened to you, you’ll need to not only review your segmenting criteria, but also your marketing messaging: Do your marketing campaigns promise more than your products can deliver? Is your positioning premium, and your service delivery no-frills? Your content is not generating any demand for your products and services. If your marketing metrics (page visits, time spent on page, response rates etc.) are good, but your product is not shifting, your content may be to blame. Review your campaigns to see if there is a disconnect between your content and your services. For instance, if your thought leadership focuses on the benefits of cloud computing, but you are trying to generate leads for a Software as a Service accounting solution, then your content needs to be revised to address your niche more specifically and help connect the industry megatrend (cloud computing) to your product. Your last video generated lots of inbound enquiries and social shares, but you only budgeted for one. This is good news – you produced content that worked well. Now it’s time to go back to your plan and cut less well performing content to free up time and budget for things that generate revenue. Your marketing metrics are declining. Every email you send gets fewer opens than the previous one, your clickthroughs are dwindling while your unsubscribe rates are creeping up. These are sure signs that your content is not only failing to rock your audience’s world, but it’s seriously starting to get on their nerves. If your customers and prospects don’t see the value of your content, it’s time to go back to the drawing board. The end of Q2 can be a good time to review your content marketing plan. If you are looking to improve your performance, doing so now will enable you to make change tack and set you on course to meet your end of year goals. 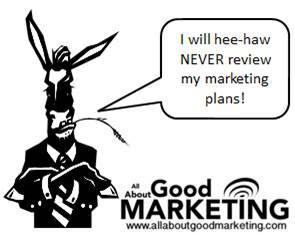 Do you know of any other signs that your marketing content plans need to be reviewed? Please share your ideas in the comment section below! This entry was posted in Content Marketing, Marketing, Marketing Plans, Uncategorized and tagged content marketing, marketing mix, marketing plans, sales funnel. Bookmark the permalink. 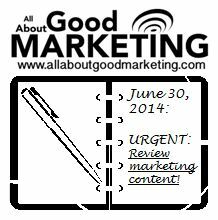 I have to thank you for the efforts you have put in penning this marketing blog. I really hope to continue to see the same high-grade blog posts from you in the future as well.